MessyJesse - a quilt blog by Jessie Fincham: 50 Fat Quarter Makes || Blog Hop || Featured! 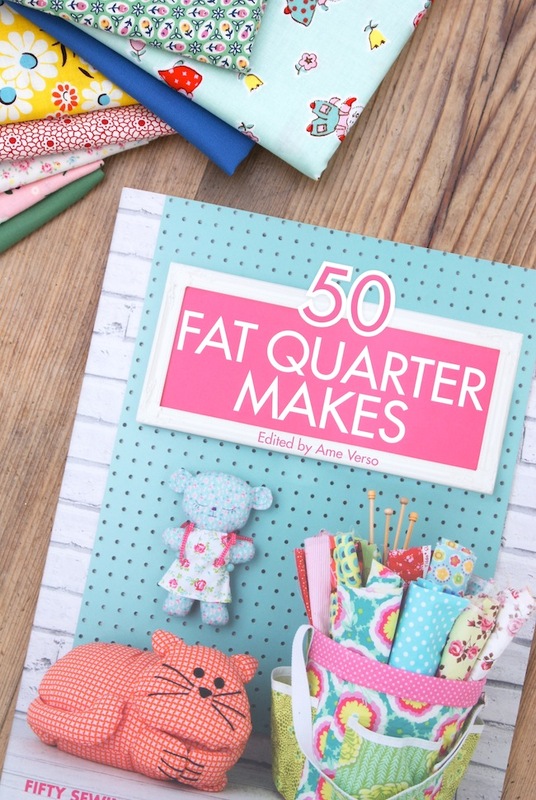 50 Fat Quarter Makes || Blog Hop || Featured! I was contacted by Ame, the editor last September, I think? about contributing some fat quarter projects along with a host of some of my favourite sewers and bloggers. Of course I jumped at the chance, and quickly got to work. In total you can find six different projects from me, everything from kitchen linens, mouse pincushions (trust me - it's cute, not scary! ), baby bibs and pillows, which are all 'FQ friendly'. And if you're anything like me, you're not short on them. Last year I felt like I was turning into a bib-making factory around here because I had several friends baby showers to attend - and of course if you do anything sewing related, everyone wants a handmade gift, am I right? 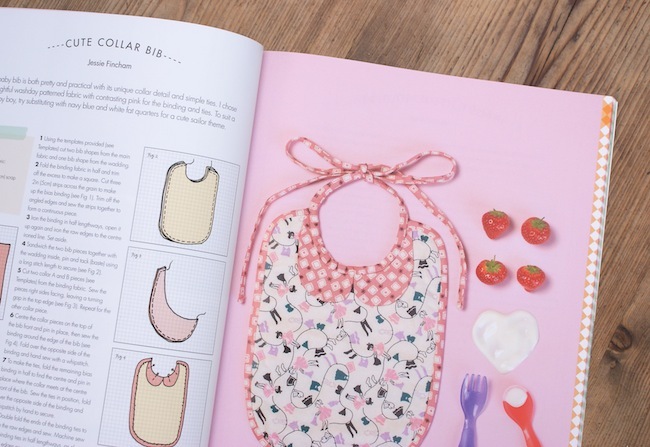 So in the book you will find the peter pan collared bib I often made for these baby showers, it's really simple to make and it's perfect for boys and girls alike. I love the Country Contrast pilow! The publishers of the book also run a website Stitch, Craft, Create where they sell fabrics as well as books, so myself and the other contributors were offered fabrics from their site to choose from (how fun!?). I knew as soon as I saw those ditsy floral's and pretty plaid prints the muted colours would be perfect for my cosy living room, so a pillow it was. 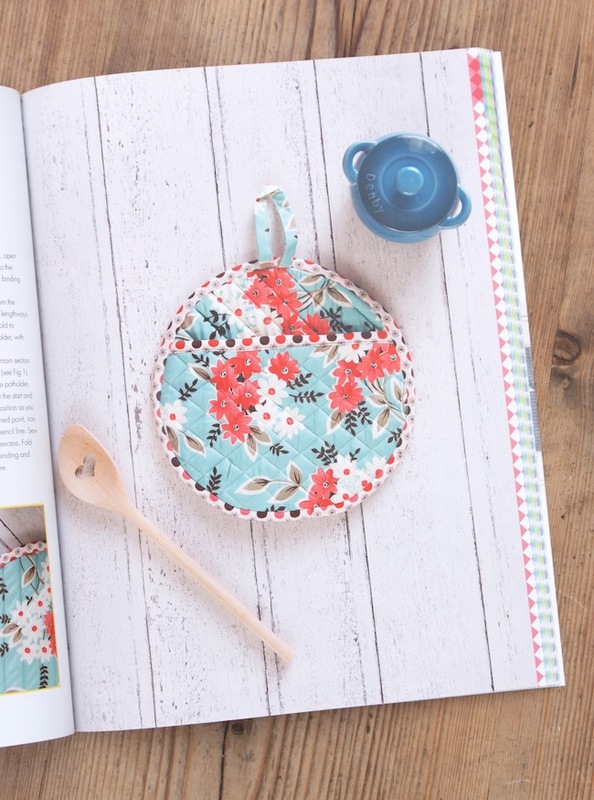 Don't you just love the simple styling and photography used, it's what I love about a good sewing book. It just inspires you, not only the sewing projects but how to improve on my own photo's for my blog, website and Instagram etc. This Denyse Schmit print is such a classic, it looks SO fresh here as part of the potholder and oven mitt set, I think good fabrics never get old - wouldn't you agree? I was inspired to make this set having worked for Anthropologie in the past (what seems like many moons ago now!) and coveted their amazingly gorgeous range of kitchen linens for as long as I can remember, so this was my simple DIY version. I can't wait to receive the samples back to showcase in my own kitchen now! Of course, I'm not going to share all of my projects featured as I would want you to purchase the book ;-) and there are an array of brilliant patterns by other fantastic contributors who I'm privileged to be included with. One which caught my eye is the knitting project bag featured on the cover by Cynthia. It would be just as useful for fabric too, on the sewing list it goes. I love a simple handmade bag, and this one is actually perfect. Definitely have plans to make one of these soon! So as well as being jam-packed with 50 projects to make, you can also expect a ton of useful sewing information to get any beginner or more seasoned sewer's started. Be sure to stop by the rest of the 50 Fat Quarter Makes blog-hop with prizes and giveaways going on! Wow, lots of fun looking projects. The baby bib is adorable with it's 'collar'. 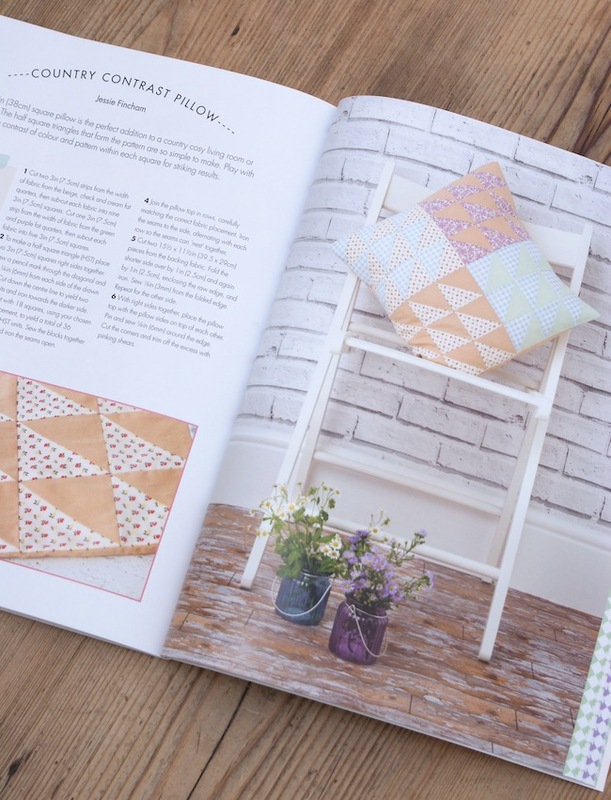 It's wonderful to hear that lots of sewing tips are also in the book. Thanks. Thanks for sharing these neat projects from the giveaway book! Love your Blog! HAPPY SUMMER! Hellooo MessyJesse:) It's nice to meet you...I'm sure you are perfectly organized! The Peter Pan collar bibs are too precious. Yep you are so right, once you gift a handmade item, your forever bound to do it again, again. Two baby showers coming up soon so that pattern would be ideal. Thank you for sharing. Yay congrats! It all looks so lovely and inspiring :) Love that baby bib especially! I just jumped over to Amazon to get one! Can't wait until it arrives.